Last month, rumour has it that Razer would launch its new flagship phone, the Razer Phone 2, this month. Amidst other phone drops like the iPhone XS, Realme 2, and Google Pixel 3, Razer unveils the aforementioned and highly anticipated gaming phone for gamers today (11 Oct). The announcement is also accompanied by the release of the new Razer Blade 15 models, the Raiju Mobile controller, and the Hammerhead USB-C ANC earpiece. In its statement, Razer described the Razer Phone 2 as “the very definition of flagship performance and true mobile gaming”. 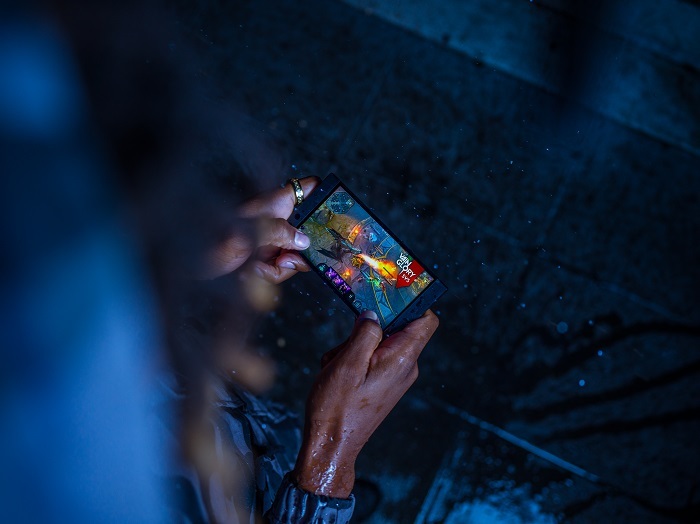 According to the gaming hardware maker, the Razer Phone 2 will perform 30% better than its predecessor with the combination of its latest flagship components and thermal cooling solutions. As rumoured, the Razer Phone 2 comes with the Qualcomm Snapdragon 845. 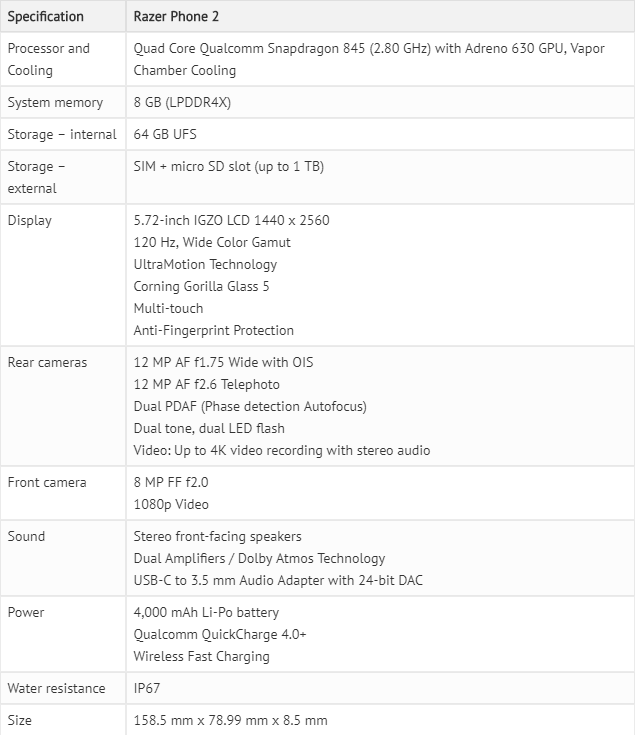 But instead of the Adreno 639 GPU, the phone is equipped with the Adreno 630. The Razer Vapor Chamber Cooling system will keep the phone’s performance going smoothly with its industry-leading thermal cooling function. It allows more surface area for heat to dissipate while sustaining high frame rates. The new phone boasts a new dual-camera setup on the back that offers a 12 MP wide-angle lens with optical image stabilization (OIS) and a 12 MP telephoto lens with 2x zoom. The cameras are accompanied by the Sony IMX sensors that can take fast-action shots and produce low-light photos with little noise and a wide gamut of colours. Livestreaming professionals can stream in full HD resolution with the 8MP front-facing camera. Using the Razer Phone 2’s camera app will be a cinch as its user interface is optimised for easy one-handed operation for portraits and scenic panoramas. 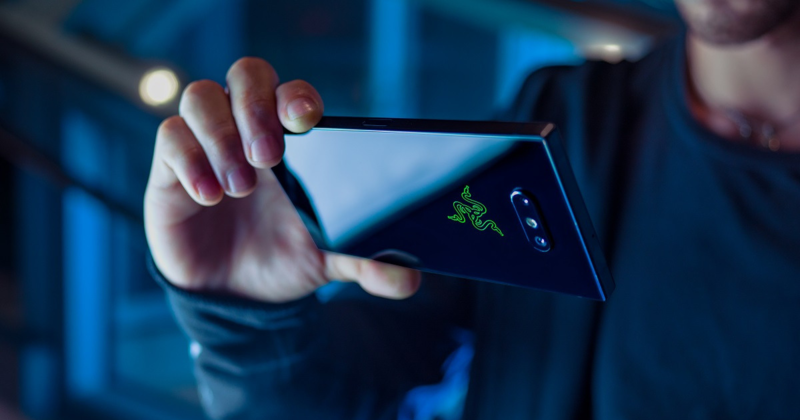 And what’s a Razer flagship phone without its signature Chroma? The triple-headed snake logo emblazoned on the back of the phone now glows in 16.8 million colours. It lights up in three ways, Static, Spectrum Cycling, and Breathing, and also lets you choose the colours for your notifications on apps like Facebook and Whatsapp. With its new glass back, the Razer Phone 2 is now able to charge wirelessly. But if you choose to charge the old-school way with a USB-C cable, the Qualcomm Quickcharge 4+ allows you to charge the phone from flat battery to 50% within 30 minutes. It is also dust- and water-resistant with a rating of IP67 so the Razer Phone 2 is “completely dust-proof” and can be submerged in 1m of water for up to 30 minutes, according to this review. The Razer Phone 2’s 5.7-inch UltraMotion™ IGZO display comes with a true 120 Hz display like its predecessor, offering both 120 Hz screen refresh and 120 Hz touch sampling – that means no lag, no stutter, only silky-smooth graphics. The new display is also 50% brighter than in the first Razer Phone. Razer kept its front-facing speakers design on the top and bottom bezels and its hardware have been upgraded with Dolby Atmos to be clearer and louder. According to Geek Culture, it is “capable of streaming Netflix shows on HDR with Dolby Surround 5.1”. Like the first Razer Phone, battery capacity is at 4000mAh, but the Razer Phone 2 is optimised to last 10 hours at 120 Hz refresh rate. It can handle download speeds up to 1.2 Gbit/s with its LTE Gigabit networks. 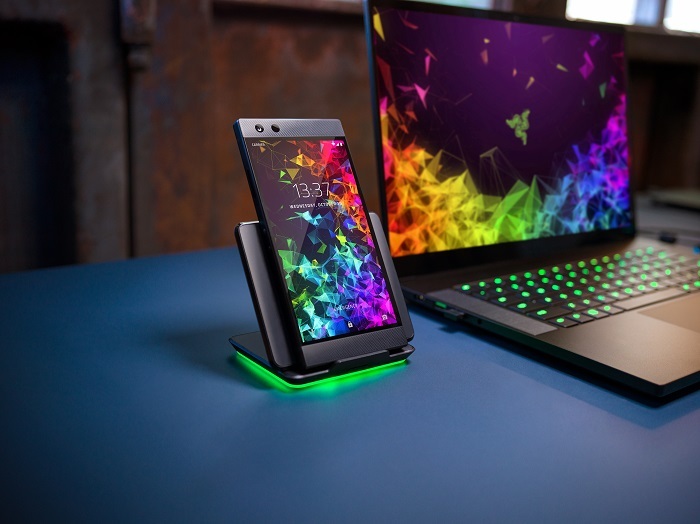 As a pioneer in PC eSports and mobile eSports, Razer has continued to work with game publishers, optimising the Razer Phone 2’s display for games such as PUBG Mobile, RuneScape, Marvel Future Fight, and more. On top of all these, Razer also introduced the Razer Cortex to the phone. The app will help users organise their games on their phone, recommend the latest games that are optimised for 120 Hz gaming, and will also allow users to optimise the phone’s performance for different games either manually or with presets. Razer Cortex app is available to download on the Google Play Store and will work on other phones. Razer Phone 2 users can also download a variety of exclusive themes and wallpapers of popular mobile games from the Razer Theme Store, like Vainglory, Tekken, Arena of Valor, Guns of Boom, among others, and PUBG Mobile soon. The Razer Phone 2 is available in USA, Europe, and Asia Pacific (including Singapore) for US$799 and can be preordered starting from 11 October 2018 at 12.01am PT (12 October 2018, 3.01pm SGT) on Razer’s website. Local pricings will be announced soon. The Raiju Mobile will be available worldwide by the end of 2018 and is priced at S$239.90; the Hammerhead USB-C ANC will be available on Razer.com from 22 October and worldwide from Q4 2018 and will cost S$159.90. As for the entry-level model Razer Blade 15, prices start at S$2,499.90.